Alain Beck is Senior Director of Analytical Chemistry, New Biological Entities, at the Center of Immunology Pierre Fabre (FR) and associated editor of mAbs (USA). He has contributed to the R&D of clinical stages anticancer mAbs and ADCs (dalotuzumab licensed to Merck, telisotuzumab vedotin licensed to AbbVie and h515H7) and vaccines (RSV, ELA/P40). 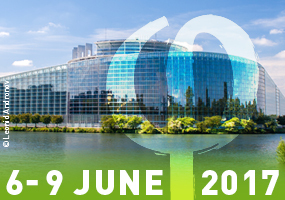 He has published 176 papers and reports on mAbs, biosimilars, biobetters, ADCs, bsAbs, Fc-fusion structures/functions relationships and developability. He was involved in more than 230 scientific meetings (AIS, ASMS, BAS, EAC, HPLC, IBC, IMSC PEGS, SEP, WADC, WBC) as chairperson, invited speaker, panelist, moderator, advisor, and organizer as well as meetings with regulatory agencies (ANSM, EMA, EDQM, FDA, PEI, WHO). Jean-Pierre Changeux PhD is International Faculty at the Kavli Institute for Brain & Mind University of California San Diego and professor at the Collège de France & Institut Pasteur, Paris. His PhD studies with Jacques Monod, led to the discovery that chemical signals regulate the biological activity of proteins by acting at “allosteric” sites distinct from the biologically active sites via a conformational change (1961-1965). He then proposed (1964) that this type of regulation applies to receptor mechanisms engaged in the transmission of chemical signals in the nervous system and through his life-time work, validated this insight. His studies were initiated by the first identification of a neurotransmitter receptor: the nicotinic acetylcholine receptor together with Lee & Kasai (1970) and culminated by a contribution, together with Corringer & Delarue, to establishing the 3-D structure and conformational transition of prokaryotic orthologs of nicotinic receptors by X-ray crystallography and molecular dynamics (2005-15). He and his colleagues also deciphered the topology of allosteric modulatory sites for pharmacological ligands (1996-2011), thereby substantiating a novel strategy of drug design based on allosteric modulation. Moving to neuronal networks, Changeux, together with Courrège & Danchin (1973, 1976) formulated and experimentally tested the theory that long-term epigenesis of neuronal networks occurs by the activity-dependant selective stabilization, and elimination, of developing synapses. Last, in particular with Dehaene, he proposed and tested models for defined cognitive tasks and their pharmacological modulation in particular, a neuronal hypothesis for conscious processing, implicating a “global neuronal workspace” composed of a brain-scale horizontal network of long axon neurons (1991- (1998-2015). Changeux has published several books including Neuronal Man (1985), What Makes Us Think? (with Paul Ricoeur) (2002), Physiology of truth (2002). His academic accolades include the Gairdner award (1978), the Wolf prize (1983), the Goodman and Gilman Award in drug receptor pharmacology (1994), the Balzan Prize (2001), the US National Academy of Sciences Award in Neurosciences (2007), the Japanese Society for the Promotion of Science Award for Eminent Scientists,Tokyo (2012) and the Olav Thon Foundation's International Research Award for. Mathematics/ Natural Sciences and Medicine, Oslo (2016). Dr. Daniel A. Erlanson is the co-founder of Carmot Therapeutics and an inventor of its iterative fragment-linking technology, Chemotype Evolution. Prior to Carmot, Dr. Erlanson spent a decade developing technologies and leading medicinal chemistry efforts in oncology and other diseases at Sunesis Pharmaceuticals, which he joined at the company’s inception. Before Sunesis, he was an NIH postdoctoral fellow with James A. Wells at Genentech. Dr. Erlanson earned his PhD in chemistry from Harvard University in the laboratory of Gregory L. Verdine and his BA in chemistry from Carleton College. As well as co-editing two books on fragment-based drug discovery, Dr. Erlanson is an inventor or author on more than forty patents and scientific publications. 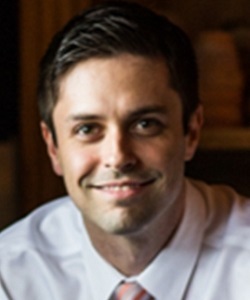 He edits a blog devoted to fragment-based drug discovery, Practical Fragments (http://practicalfragments.blogspot.com/). I obtained my PhD in Neuroscience from the University Pierre and Marie Curie in Paris and I worked at Pasteur Institute in the group of Dr. Pierre-Jean Corringer and Prof Jean-Pierre Changeux (Channel Receptors) on the structure-function and gating mechanisms of pentameric ligand gated ion channels. 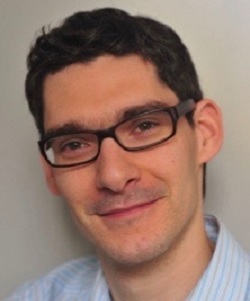 In 2009, I moved to Switzerland in Basel as a post-doctoral fellow at the Friedrich Miescher Institute for Biomedical research in the group of Dr. Nicolas Thomae, where I worked on the elucidation of the structure and mechanisms of macro-complexes involved in DNA homologous recombination. 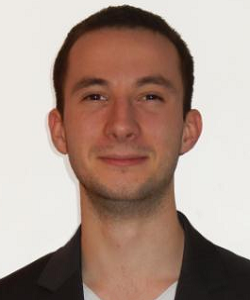 I started at Roche in February 2013 as a RPF (Roche Post-doctoral fellow) scientist in the Biostructure section to adapt the nanodisc technology to Surface Plasmon Resonance. In November 2014, I joined the Membrane Proteins group of Roger Dawson still at Roche as a scientist where I worked on membrane proteins (human transporters; GPCRs and membrane enzymatic complexes) projects involving protein biochemistry, biophysics and structural biology. In February 2017 I joined LeadXpro AG as a senior scientist to work on membrane protein gene-to-structure projects in collaboration with pharma companies. 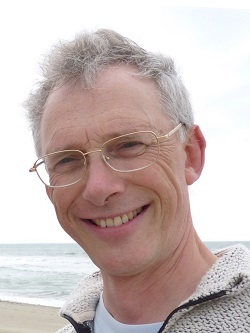 Chris Tate is Programme Leader at the MRC Laboratory of Molecular Biology, Cambridge, where he studies the structure and function of G protein-coupled receptors. He received his PhD in membrane protein biochemistry at the University of Bristol, and then moved to Cambridge, initially to work with Peter Henderson on bacterial sugar transporters, and then with Richard Henderson on the serotonin transporter and the multidrug transporter EmrE. In 2005, he started to work on G protein coupled receptors, where he developed the procedure of conformational thermostabilisation to facilitate their crystallisation. This led to the structure determination of a number of GPCRs, in particular with their native agonists bound. This work was the basis for the formation of Heptares Therapeutics, which he co-founded in 2007. More recently, he has extended his work by engineering the GTPase domain of heterotrimeric G proteins to facilitate the crystallisation and structure determination of GPCRs in their fully active state. Adriaan (Ad) Bax was born in 1956, in The Netherlands and became a US citizen in 1999. He received his Ph.D. in 1981 from Delft University of Technology, The Netherlands, for work related to the development of two-dimensional nuclear magnetic resonance (NMR) techniques, which he carried out at Delft and Oxford Universities. His Ph.D. thesis was reprinted in book format and for many years served as a popular text, introducing students to the application of two-dimensional NMR in chemistry. 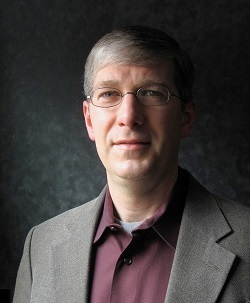 After post-doctoral work in solid-state NMR, Bax joined NIH where he currently holds the title NIH Distinguished Investigator, and has been working in the research area of Biophysics on the development and application of a wide variety of advanced multi-dimensional NMR techniques to problems of biochemical and biomedical interest. His group spearheaded the introduction of triple resonance NMR spectroscopy of 13C/15N-enriched proteins, developed the now standard joint analysis of 15N R1, R2, and NOE for characterizing protein backbone dynamics, and introduced the first methods for weakly aligning proteins in a magnetic field by the use of liquid crystals. Bax’s work has been recognized by numerous awards, and he is a Member of the USA National Academy of Sciences. 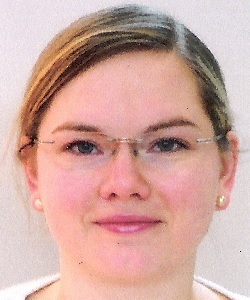 Dr Jenny Sandmark is working as crystallographer in the Department of Structure and Biophysics at AstraZeneca Gothenburg, Sweden. 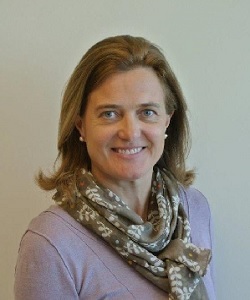 She has extensive experience of Structure based drug design and Fragment Based Lead Generation and has been working in drug discovery within several therapeutic areas, including respiratory and cardiovascular diseases. One of her special areas of expertise is serine proteases. 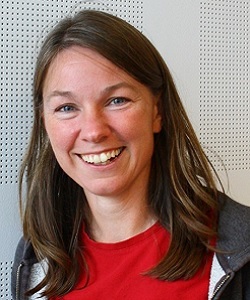 She obtained her PhD from in X-ray crystallography at Karolinska Institutet, Stockholm, in the laboratory of Professors Gunter Schneider and Ylva Lindqvist, working on bacterial targets for development of antibiotics. 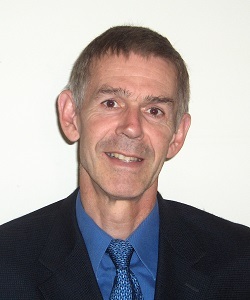 Glyn Williams joined Astex in 2001, to develop and apply biophysical methods to fragment-based screening and drug design. This work has involved the combination of Nuclear Magnetic Resonance, Isothermal Titration Calorimetry and native Mass Spectrometry with protein-ligand crystallography and the results have been used to guide the development of the Astex fragment library. Previously Glyn had spent 11 years with Roche UK where he was responsible for biological NMR and analytical Mass Spectrometry. After obtaining his degree and doctorate in Chemistry from the University of Oxford, Glyn held fellowships and lectureships in Inorganic and Bio-Inorganic chemistry at the Universities of Oxford, Sydney and London from 1983 to 1990. 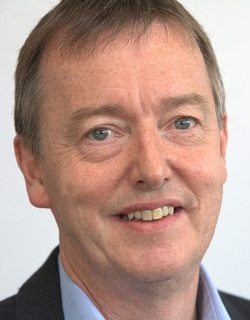 Martin Blackledge trained as a Physicist at the University of Manchester and obtained his doctorate in 1987 at the University of Oxford under the direction of Professor Sir George Radda. He received a Royal Society Fellowship to work in the group of Professor Richard Ernst at the ETH Zurich, before moving to Grenoble in 1992. 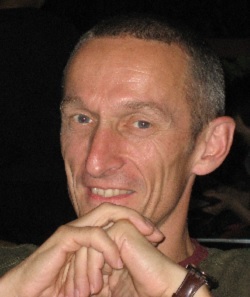 He is group leader and Deputy Director of the Institute de Biologie Structural in Grenoble. The research interests of the Blackledge "Protein Dynamics and Flexibility by NMR" group include conformational flexibility of proteins and the intricate relationship between molecular motion and biological function and malfunction. 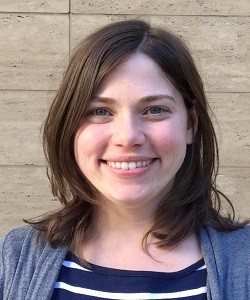 Their research spans from the highly flexible behavior of intrinsically unfolded proteins to high resolution studies of the conformational energy landscape of folded proteins and their relation to function. His group investigates the relationship between conformational dynamics and interaction kinetics in highly dynamic viral proteins using high resolution NMR spectroscopy and complementary biophysical techniques such as fluorescence spectroscopy, molecular simulation and small angle scattering. They develop approaches for mapping the conformational energy landscape of folded, intrinsically disordered and multi-domain proteins at atomic resolution and have recently investigated the dynamics of intrinsically disordered proteins using temperature dependent, multi-field NMR relaxation measurements, visualized the folding upon binding trajectory of unfolded proteins and highlighted the importance of domain dynamics in nuclear import of Influenza proteins. In addition, they develop experimental NMR tools and analytical tools for probing site-specific dynamics and detection of collective motions in the solid state. In combination with molecular dynamics simulations, this combination of approaches provides a unified description of protein dynamics. Ph.D. Chemistry – University of Durham – 1987 – Development of NMR methods for the measurement of chiral purity. Post Doctoral Research Assistant -Dyson Perrins Laboratory - University of Oxford (1987- 1989) – Mechanisms of asymmetric, catalytic hydrogenation. 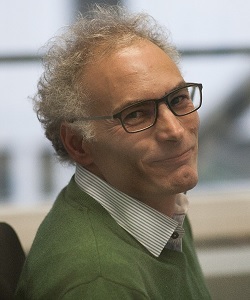 Professor Michele Vendruscolo received a PhD in Condensed Matter Physics in 1996 from the International School for Advanced Studies in Trieste (Italy). 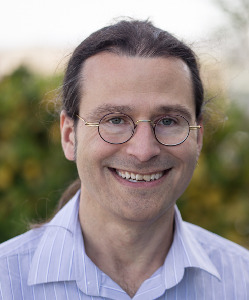 He then spent two years as post-doctoral fellow at the Weizmann Institute of Science (Israel) where he worked on computational methods to study the protein folding problem. 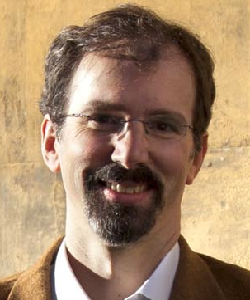 In 1999 he moved to the University of Oxford as an EMBO post-doctoral fellow, where in collaboration with Chris Dobson and Martin Karplus he developed a strategy to incorporate experimental information to generate structural restraints in molecular simulations of proteins. In 2001 he joined the Department of Chemistry at the University of Cambridge as a Royal Society University Research Fellow, becoming a Lecturer in 2006, a Reader in 2008 and a Professor in 2010. His current research is aimed at developing new method in drug discovery to inhibit the aggregation and toxicity of disordered proteins in Alzheimer’s disease. studied physics at the Ludwig- Maximilians-Universität München. He conducted his doctoral research at the Max Planck Institute for Biochemistry in Martinsried and received his PhD from the Technical University of Munich. Subsequently, from 1999 to 2001, he worked as a postdoctoral fellow at the National Institutes of Health in Bethesda (United States). In 2001, he established his Research Group Protein Structure Determination Using NMR at the Max Planck Institute for Biophysical Chemistry. 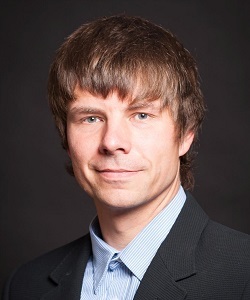 Markus Zweckstetter is also head of the Senior Research Group Structural Biology in Dementia at the German Center for Neurodegenerative Diseases and has been teaching as a professor at the University Medical Center Göttingen since 2012. Jim Bryson is Executive Director of Protein Science at Bristol-Myers Squibb Co. Originally trained in Bio-Inorganic Chemistry at Northwestern University under the direction of Prof. Tom O’Halloran, Jim obtained post-doctoral training in protein design and biophysical characterization with Dr. Bill DeGrado at DuPont Merck Pharmaceutical Company. After applying protein engineering principles to tailor insecticidal activity of Bt. toxin proteins at Ecogen Inc., Jim moved to BMS in 1998 to support small molecule and biologics drug discovery with design, production and biophysical characterization of protein reagents, biologics candidates, their molecular interactions, and detailed 3-dimensional structures. Jim’s Protein Science team collaborates across the BMS R&D organization to discover novel drug candidates across multiple molecular modalities, including bispecific and targeted biologics therapies, for patients suffering serious diseases with high unmet medical need. 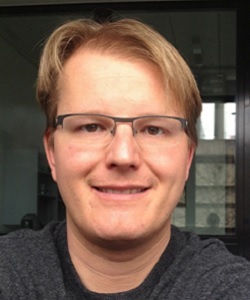 Markus Seeger is Assistant Professor at the University of Zurich, where he leads a research group investigating membrane transporters of pathogenic bacteria. He studied Biotechnology at the ETH Zurich (2002) and reveived his PhD (2007) on the study of drug efflux pumps at the Institute of Microbiology, ETH Zurich. Funded by a EMBO fellowship, he was postdoctoral fellow at the Department of Pharmacology, University of Cambrige (UK), working on bacterial ABC transporters. In 2009, he became Junior Group Leader at the Department of Biochemistry, University of Zurich and in 2013 Swiss National Foundation Assistant Professor at the Institute of Medical Microbiology, University of Zurich. His group recently created synthetic nanobody libraries, which are selected in vitro against membrane proteins to obtain state-specific binders stabilizing energetically unfavourable conformational states of membrane transporters.